One of the most celebrated writers in the history of comics teams up once again with one of the industry's most accomplished artists! 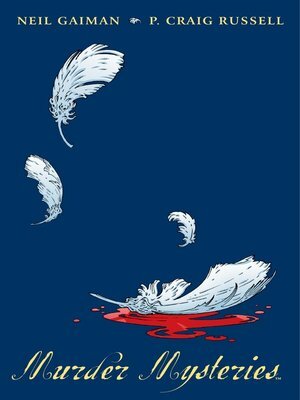 Neil Gaiman and P. Craig Russell once again venture into the world of myth and angels. Constructing and maintaining all of heaven and earth is an immense task, which God has divided up amongst the various ranks and stations of angels. As with any such huge effort, there are bound to be casualties. This unique passion play sheds light on the hands behind creation, as well as one lonely man in Los Angeles who gets to hear the whole story of a most unspeakable crime: a murder in paradise! P. Craig Russell adapts Neil Gaiman's poignant short story with the subtlety and grace which earned him two Eisner Awards for his work on Dark Horse's Ring of the Nibelung series. The reunion of these two legendary comics creators is a guaranteed masterpiece.